Richard L. Anderson, left, and Mark Mangini. 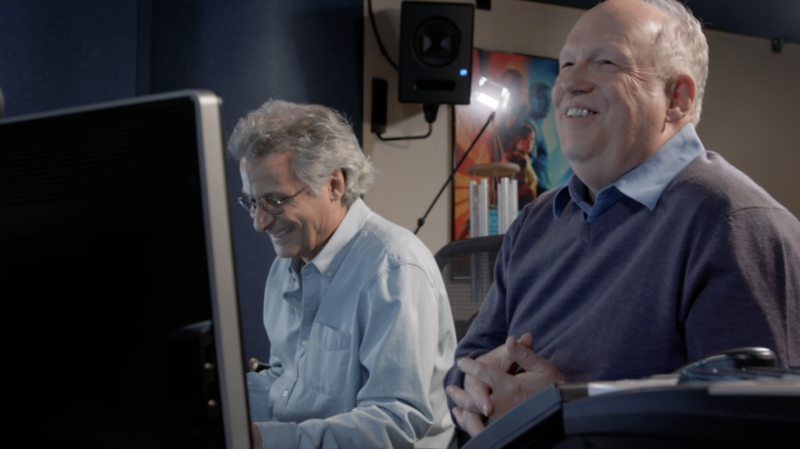 A long-advanced marketing adage states, “If you trust the brand you can trust the product.” In the case of Academy Oscar-winning supervising sound editors Mark A. Mangini, MPSE, and Richard L. Anderson, MPSE, there’s a very good chance that a customized version of their extensive sound effects library will contain an array of useful material. 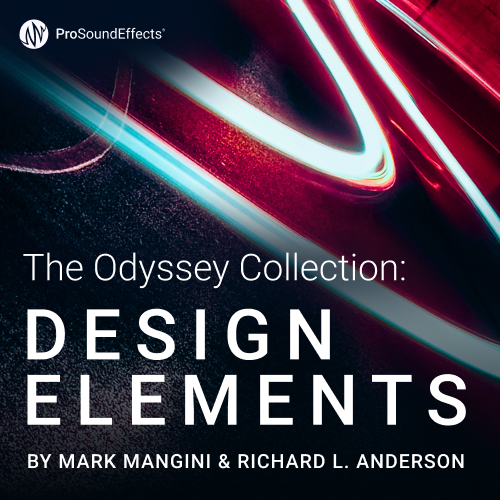 Now being offered exclusively by Pro Sound Effects, The Odyssey Collection: Complete is a library featuring more than 100,000 sound effects in close to 300 categories. The library was created from Mangini and Anderson’s private archive built-up over 30 years of working in the feature film and TV post-production industries. 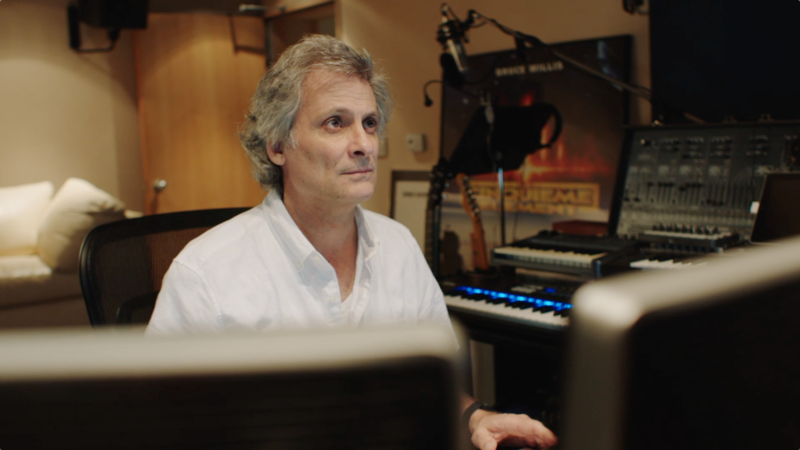 “The idea behind these new sound effects libraries was pretty simple,” recalls Mangini, an Academy Award nominee for Blade Runner 2049 (2017), The Fifth Element (1997), Aladdin (1992) and Star Trek IV: The Voyage Home (1986), and winner of the best Sound Editing Oscar for Mad Max: Fury Road (2015). 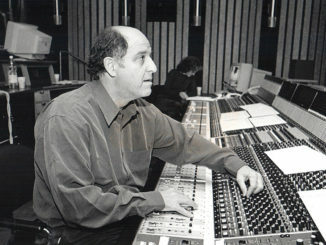 “Richard and I felt that our life-long work shouldn’t fall into obscurity, but could be used by sound editors, sound designers, picture editors, game designers and other professionals to add realism to their soundtracks.” Mangini has also received two BAFTA nominations for Best Sound and multiple Motion Picture Sound Editors (MPSE) Golden Reel nominations with two wins. 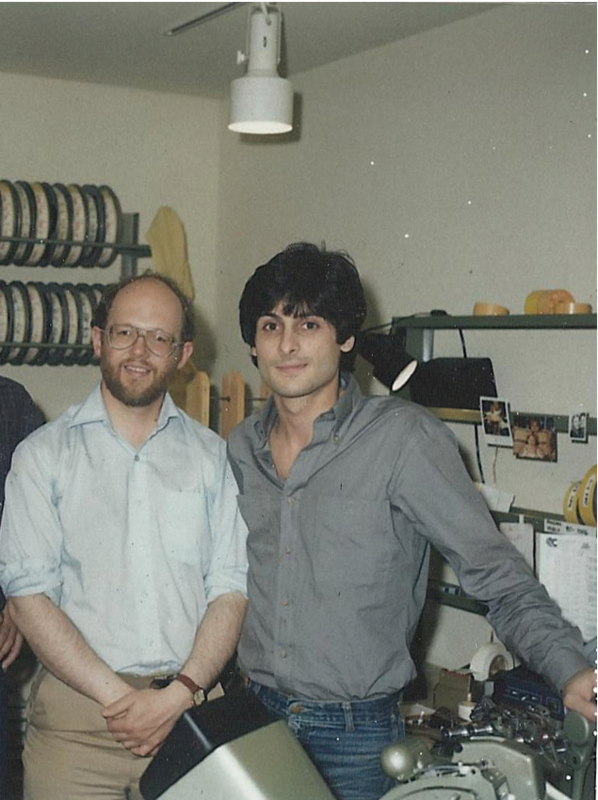 Richard L. Anderson, left, and Mark Mangini in the 1970s. Both editors emphasize the importance of carefully cataloging each sound effect in a library. “Simple descriptions such as ‘Black Car Pass-by’ or ‘V8 In and Stop’ are not useful,” Anderson notes. 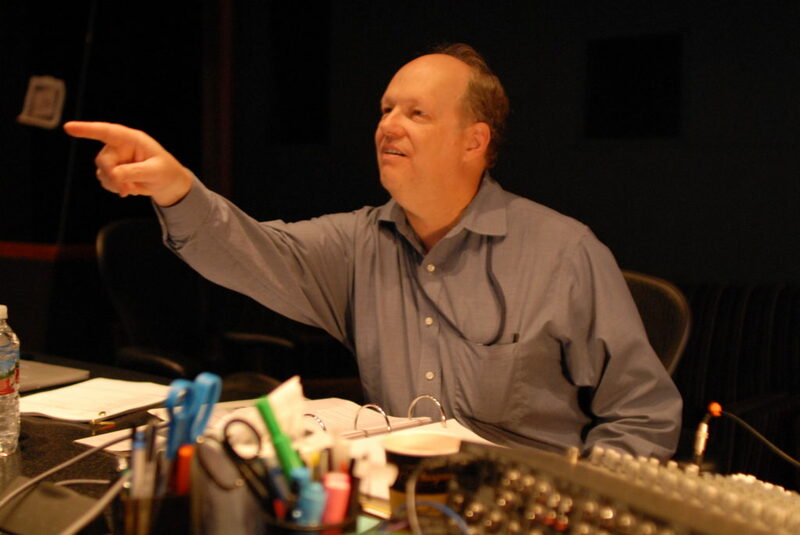 “We always need good labels to locate a real sound for a star car in a key scene; we always added full descriptors of each sound so that the catalog was totally useful for us and our editorial crews.” Anderson also received an Emmy Award for sound design on the Steven Spielberg-directed episode of Amazing Stories TV series, and is now writing and directing films in both China and the US, including the recent co-production, Behind Bayonets and Barbed Wire (2016). 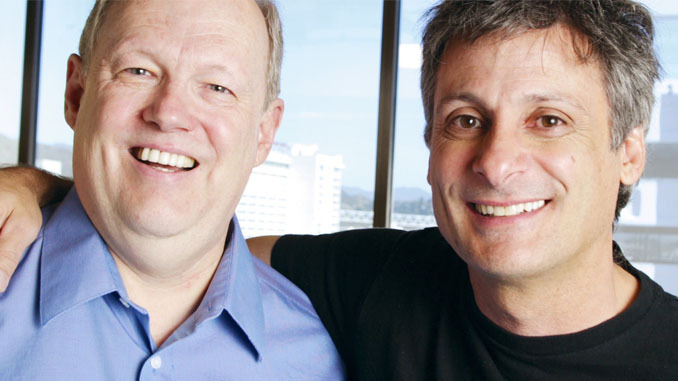 Mark Mangini, left, and Richard L. Anderson. With several thousand sound effects to be searched by end users, a consistent cataloging scheme is essential, according to the pair. “Having worked with sound effects for so many decades, we know the value of a properly cataloged library,” says Anderson. 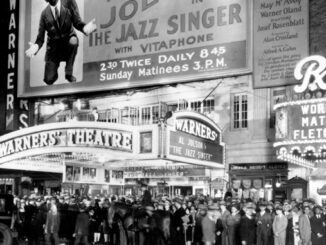 “We handed over all our metadata to Pro Sound Effects, which the company used to create a robust and consistent template,” Mangini explains. 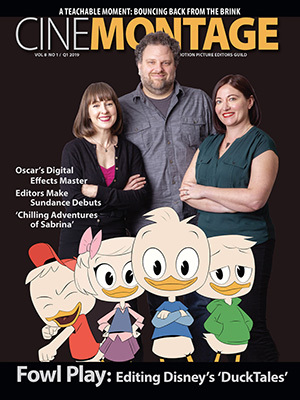 “PSE put on five full-time librarians, who worked for two years to fully edit, master and catalog the entire Odyssey Collection,” with optimized metadata for quicker searches and user-friendly results. “The librarians also cleaned out duplicates and ensured that descriptors were consistent across the various sub-libraries. They also made sure the sound files were of a consistent format.” Reportedly, a total of 295 categories have been used within all of the Odyssey sound effects libraries, with embedded metadata to speed up searches and streamline the sound editing workflow. 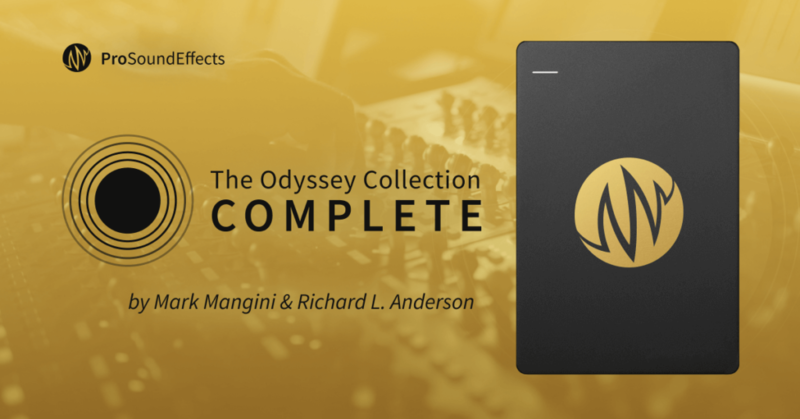 The Odyssey Collection: Complete comprises sub-libraries in addition to 24,000 exclusive sounds. The bundled sub-libraries include Odyssey Essentials (16,000 sounds), Odyssey Expanded (32,000 sounds) and Odyssey Vehicles (12,000 sounds), plus several unreleased libraries, such as Odyssey Ambiences, Odyssey Creatures and Odyssey Foley. 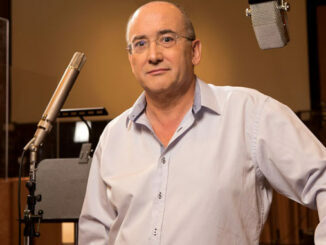 End-user prices are available on the PSE website: www.prosoundeffects.com/odyssey-collection-complete.